Music theory is the nuts and bolts of how music is put together. These online guitar lessons will help you learn the building blocks of music, and how it applies to the neck of the guitar. Dig into the basics for chord construction. Both in general music theory terms & specifically how it applies to the guitar. 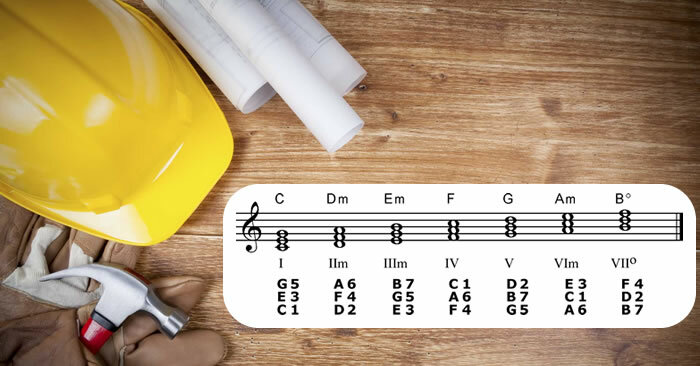 All music theory really begins with an understanding of the major scale. Learn the theory, and apply it to the neck of the guitar. All guitar lessons on Cyberfret.com are in the process of being updated. Below are some music theory guitar lessons from the old website that have not made it to the new one yet. Should You Learn Music Theory? - Guitarist Mike Philippov gives insight into the importance of learning music theory as a guitar player. Why YOU should learn Music Theory - In this guitar lesson Ysrafel busts some common myths about music theory and teaches you how to use it to improve your musicianship in many ways. Basic Chord Construction - Learn the basic music theory behind chord construction and how it is applied to the guitar. Chord Construction - Part 1 - This guitar lesson will give you a basic understanding of how all 3 note chords are constructed and how to apply that theory to the neck of the guitar. This will include major, minor, augmented, diminished, sus2 and sus4 chords. Chord Construction - Part 2 - This lesson covers how to spell any 3 note chord. Chord Construction - Part 3 - This lessons covers how to further apply the guitar theory learned in the previous parts to the neck of the guitar. You will learn how to alter basic chord shapes that you already know to form other types of guitar chords. Chord Formation Overview - Guitarist Adam Long has created an interactive list of many chords, their intervals, notes, and their respective chord families. Major Key Harmony - Learn the music theory behind major keys. Discover the guitar chord possibilities, and learn an easy visual method for finding what chords are in any major key. How Chord Progressions Work - Learn the basics of how guitar chords fit together into coherent chord progressions. Part 1 - Learn to understand how harmony and chords work on the guitar. Part 2 - Learn more about chords and the ii-V-I chord progression. Part 3 - Learn more about guitar chords and arpeggios. Part 4 - The Blues Injection. Guitar Intervals - And interval is the musical measurement of distance and sound between 2 notes. This is an essential guitar theory lesson.. Exploring Chords - Guitarist Darrin Koltow shares some short facts about guitar chords and music theory. 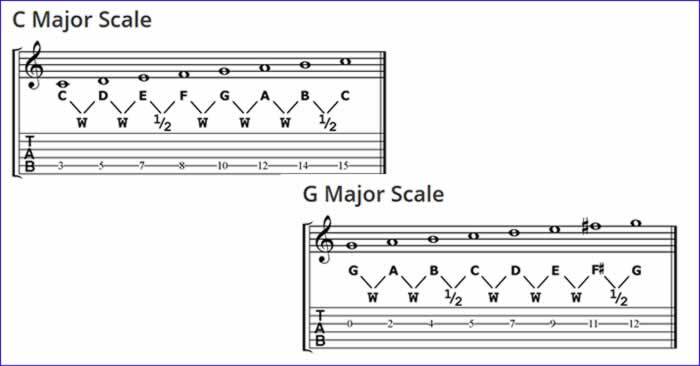 Natural Minor Scale - Minor scale construction, and the relationship between major and minor. Learn how the music theory is applied to the neck of the guitar. Pentatonic Scales - Learn the construction of both major and minor pentatonic scales. 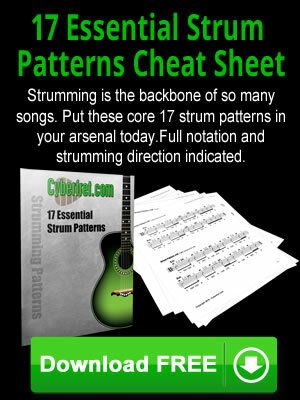 A reference of all pentatonic scale forms on the guitar and functions is included. Guitar Modes 101 - Learn how modes are constructed, and how they are used as both a tonal center, and as scales for particular chords. Modes part 1: An Introduction - Guitarist Ysrafel gives an introduction to the often mysterious music theory topic of modes.